Your Health — Sadie Hays, L.Ac. so that you may heal, transform and thrive. Your initial visit will start in our private front consultation area and we will spend 30 minutes discussing your health concerns. I will share my assessment of your condition, and a treatment plan for you, including an estimated number and recommended frequency of treatments. For some acute conditions, that may be 3-8 visits over the course of a month; for chronic pain or complicated disorders, the length of a course of treatment will be longer. Patients who enjoy the most success are those who are committed to regular visits, willing to modify their diet, and are ready to support their health through changes in lifestyle. For an adult, I'll show you to your treatment nook, and you'll receive needles and rest on a massage table for 30 to 40 minutes. You can wear loose, comfortable clothes to minimize the amount that you need to remove, but the screens offer visual privacy if you need to disrobe. Allow 90 minutes for your first visit and about 60-75 minutes for your follow-up visits. For a child, we will most likely stay in the front consultation area for the treatment, where we will work and play together with a combination of tools and toys. 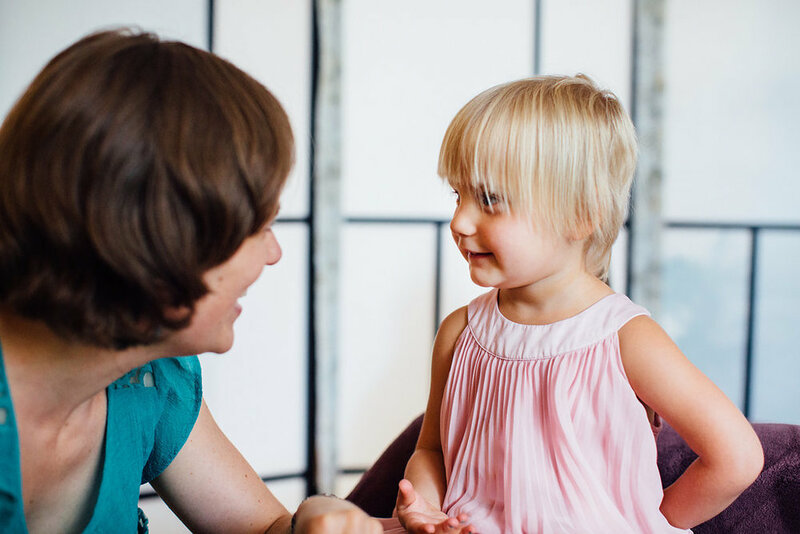 Sessions are lively, cooperative, and engaging, and include light tapping, brushing, and some acupuncture, when accepted by the child, to points on the legs, arms, head, neck, back and/or stomach. You can prepare your school-aged child by helping them choose clothes that are loose and comfortable, and your infant or toddler by pulling up sleeves or pant legs (or just removing their clothes!) so that they can move freely during the session. Initial visits will last 60 minutes, and Follow-Up visits are 30 minutes. In Chinese Medicine, women's vitality is understood in seven-year cycles, where your body's qi and blood fill, flow, flourish, bear, balance, wane, and eventually decline. Throughout all the seasons of life, acupuncture and Chinese herbs can make dramatic, positive changes in your reproductive hormone balance, and energy level so you may sustain the many roles you inhabit across your life-span. Simple, joyful and gentle treatments let your child's spirit shine. Regular Full Moon 'tune-ups' can prevent illness from arising, and more frequent treatments restore balance for kids as young as 1 month old. Based on my holistic assessment of your child's physical, mental, nutritional, and environmental health, I will recommend a course of treatment that may include shonishin, massage, diet therapy or Chinese herbs to address many childhood conditions. I provide support and symptom relief prior to, during, and after mainstream medical cancer treatments. Regular acupuncture during chemo and radiation lessens negative side-effects while improving energy and enhancing your sense of well-being. I offer dietary consultations and customized food recommendations to optimize nutrition. These are pressured times. While we know more than ever about how the brain works, we need more help than ever to calm our hearts and minds. I don't separate your body and mind - when there is imbalance in one area of your body or life, it ripples out to the others. I work with you to discover new connections and bring you home to your vital, growing self.